A transition was coming. I did not know that at the time. I longed for a change of some sort yet continued to struggle. And then the Lord moved in a BIG WAY. Did the man the Lord used to help me know the difference he had made? I was two years into the role of a divorced woman and much of the rough road had become smoother. The Lord provided a cute condo just for me in a nice suburb of Chicago, a “little black race car,” and good job. Physical limitations required me to work 3/4 time yet gratefully my profession of occupational therapy pays well so I could still support myself. It was still a tough time in my life. The stress contributed to a back injury that put me out of work without pay then right when I might default on my mortgage payment I was able to return to work. Amazing. And that is how the Lord provided for me during a total of 3 tough years: just in time, right on time, and only after completely submitting to my Heavenly Husband and Father. The Thursday night Bible study at the home of Pat and Mary was an important refuge for me during those years. Pat brought to life the books of the Bible with detailed history and applications that made a difference for all of us. He led us in prayer where we lifted each other up before the Father in the name of Jesus Christ; the love was palpable. Members came and went yet were never forgotten. Most of them knew my former spouse from years together in that living room. It didn’t matter later on. I am grateful that Craig led me to the fellowship that would make a difference then and even this past weekend. Here’s why. His name escapes me of the younger-than me gentleman who was a part of the Bible study who offered to help me with my car. I understood that he was happily married with children and thriving in the IT field. I needed a new battery for my Honda Civic but could not find the money for it. Through Pat within the following week, I learned that the guy whom I barely knew had offered to pay for it! I was grateful and humbled. Life went on and the car worked great however I did not see this man again for many weeks on a Thursday night. I’m sure I sent a thank you note but never got to tell him in person the difference and encouragement that came from his actions. So I decided to purchase a new car! And then I felt guilty! So I sought the counsel of my Bible study leader who taught me to enjoy the Lord’s financial blessing yet hold it lightly. As a Christian the stuff of life has no eternal value yet we are to be good stewards of the resources bestowed to us. I tithed then proceeded with my purchase, enjoyed my saweet Hyundai Tuscon. Sure was nice having a good vehicle to take me to-and-from my new love interest in Indiana. Things started looking better in some ways, in others there was still a cauldron of confusing emotions. The gentleman who bought me the new battery for my old Honda Civic showed up sometime later at the Thursday night Bible study. I was at the stage of purchasing the new car and trading in the old one, sharing my incredible mix of events. The look on his face seemed to express “incredulous.” Not sure if he was happy for me or sad. His donation of a new battery was now in the hands of an unknown party. The look on his face stayed with me for the next ELEVEN YEARS. Did he know that his encouragement gave me the courage to go on with my life? To trust in the provision ultimately of my Heavenly Father? I didn’t think so. And I never got an opportunity to thank this man in person; he left shortly after the end of our prayer time that night. Eleven years later I ran into Pat and Mary at the Memorial Service of a brother in Christ: this past weekend. We laughed, we reminisced, we spoke of our mighty Lord and how He had restored the years the locusts had eaten in my life, twice! (Well, probably more than that actually!) My intended beloved, Steve, and I enjoyed a lovely time of fellowship with Pat and Mary in addition to many others who helped walk me through those important years when I worshiped at Village Bible Church; many were there on Saturday. Before we left I had to ask Pat one more thing: did the gentleman who bought me the new battery ever knew the incredible blessing he gave me? Did he understand that I really needed it at the time? That his actions gave me the courage I would need to move on when a time of financial restoration would follow, albeit quickly? Pat said that he did. He said that it was a blessing for him to help me. Sigh. Really? Oh Lord, I do hope so. The gentleman’s name is Rich. Lord, please bless Rich and his family, work, and life this day. Let him know the generosity and goodness that you brought to me so many years ago and lead Him in your ways always. I pray that he continues to seek you and bless others with what gifts you have given him as he did for me. May our Lord be glorified in all this goodness that comes to any of us amidst the trials of this life. Your fingerprint is here for me, for Rich, and for you too, Gentle Reader. In due time for those who believe in the name and sacrifice of Jesus Christ, we shall be lifted up and made new one day, sharing in the glory beyond our wildest dreams. Tis a decision worth making, a journey worth taking. Thank you Jesus for Pat and Mary too. I pray that you bless them as well for their faithful teaching and living every day for You. 1 Peter 4:8-10 Above all, love each other deeply, because love covers over a multitude of sins. Offer hospitality to one another without grumbling. Each of you should use whatever gift you have received to serve others, as faithful stewards of God’s grace in its various forms. If anyone speaks, they should do so as one who speaks the very words of God. If anyone serves, they should do so with the strength God provides, so that in all things God may be praised through Jesus Christ. To him be the glory and the power for ever and ever. Amen. A few of my favorite things in 2010 including Steve, Elle, and the blue Hyundai Tucson! Here’s a post from last week when I almost didn’t know where to put my focus at any given moment. Maybe it’s time for a brain dump, prayer, and some quiet before the mayhem? The bout of pneumonia is largely past now with occasional coughing spells and nasal rinses to get me through the occasional flare-ups. Unfortunately this illness has exacerbated the seizure attacks when trying to go to sleep. It is definitely time for an adjustment to my specialized dental appliances however the trip to go see my Craniomandibular Specialist got cancelled due to the pneumonia. Oh well, the fact that it has been raining in Florida virtually every day for the last few weeks including a tropical storm this week makes me glad we were not camping in all that mess. Ever camp and travel in hot, muggy, wet conditions with a large dog? Yeah, it would have been a moldy, muddy mess for sure! We are in the process of selling our Livin Lite Camplite 16 DB that has served us well for the past 4 years. We very likely will need to accommodate one or more family members during some upcoming travel so we are pursuing the financing of a more suitable travel trailer. This is a week of finalizing the sale of our “Tin Can Ranch” and the purchase of the new unit, Lord willing, requiring many tasks and 2 long days of travel: one day this past weekend to scope out the new travel trailer and another day soon to go pick it up. Travelling a total of 4 days to my medical appointments in Florida was out of the question yet 2 shorter trips over the period of a week was more doable yet very tiring. No problemmo. My beloved River Bear is a skilled “bus driver” too! The cancellation of medical and other appointments this past week (because we were supposed to be out of town!) has allowed for plenty of time for rest-n-naps! Hopefully the new owner of the 16 DB will be able to solve her delays soon as well. Things got crazy when late Sunday night in the middle of the Memorial Day weekend we found the perfect travel trailer and price point for our situation! Within 24 hours of the posting of the listing and us finding it, we were on the road and ultimately making an offer. Do you think that the Lord cares about the special thingies of our lives? I submit to you that He does. The morning of Memorial Day that we were scrambling to take a day-long road trip to see the travel trailer, Steve sold a performance surf ski for his River Bear Racing! We delivered it to a gentleman along the shores of Lake Erie then headed south to check out the new Camplite. A week later it was in our driveway! However, the timing of this transition has found us with TWO travel trailers, much paperwork, a couple of trips to the Bureau of Motor Vehicles, yada, yada, yada. We are a little nervous but trusting the Lord that things will also be resolved in time for our first camping trip in June . . .
Looks like my family member in Florida will be visiting us for most of the month of July. It’s still a month away yet many travel arrangements and accommodations are needed to both get her here and have her in our home. Steve and I still must practice extreme avoidance procedures (changing clothes and showering when coming home from being away) which is tough on an older family member who needs care. We will make as many preparations as we can before she leaves her home (in a moldy State), have initial provisions for her when she arrives, and hope for the best that her clothing can be sanitized and de-fragranced so she can travel and visit with us in July. She has many fears, concerns, demands, yet is asking to come. That is kind of weird since she has traveled with virtually no care just a few months ago and did alright. So I will be very busy taking care of many details. Thank the Lord I am less reactive to fragrance and trace amounts of mold, etc., and my activity level has increased some overall these past 2 months! Getting out in the garden continues to be a great therapy for me in many ways. The vegetables are now in the ground including a new asparagus bed . . . until the bunnies find it of course! No worries as I am working on my rascally rabbit defense system as we speak. Overall I am still months ahead of schedule for Spring clean-up as compared to the past 6 years battling a serious illness. I am humbled and grateful. When my days in the past focused on basic household chores and a plethora of medical appointments and treatments. Was really nice yesterday to sell a piece of medical equipment that I no longer need and then drive directly to a local nursery with the cash to purchase a lavender plant! The rains today shall nurture the earth and my garden refuge wonderfully. Thank you Lord for the lovely view out our windows to encourage me on my recovery journey. You are soooooo good! Usually I refer to myself as a “kayaking widow,” as soon as the weather warms up in the great State of Indiana. My beloved Steve races kayaks and now an outrigger canoe (OC-1) on the United States Canoe Association circuit. This requires practice and travel to river or lake events at least twice per week during the warmer months, in addition to work and church commitments. Since I am largely homebound I send him happily on his merry way . . . with snacks and a kiss, of course! But it wasn’t always this way. Just 3 years ago I joined him on Tuesday nights for the paddles of our local kayaking group. (See the About Julie blog for details on the day that I got pulled from the water!) If the races were local I would join him on Saturday mornings to cheer him on from the start and possibly the railing of a bridge along the course. “Goooooooo Steeeeeeve” was my mantra and I loved it. I am so proud of Steve, having watched him progress over these past 7 years of our marriage from a recreational paddler to a National competitor in surf ski racing. And this year he added the OC-1. Oh yeah! For the first time in THREE YEARS, I would be joining Steve at the USCA Nationals scheduled this year in Warren, Pennsylvania. 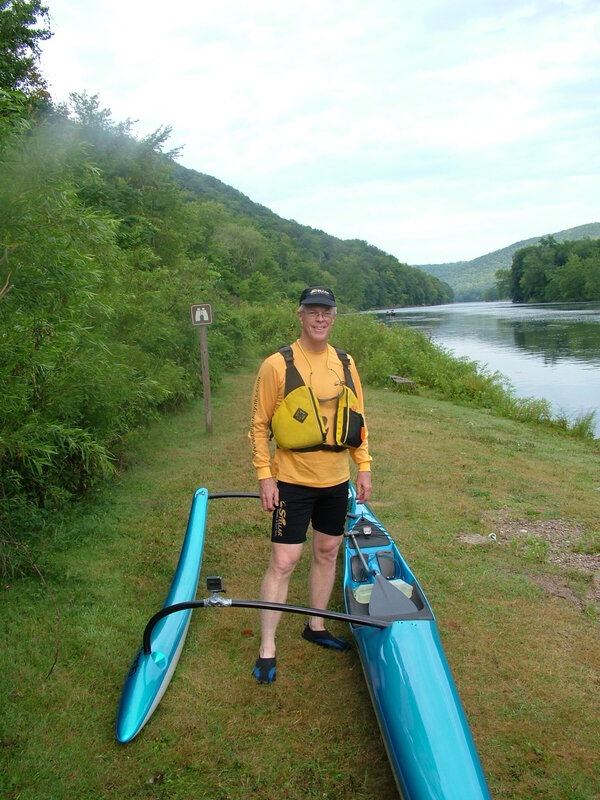 The last time I was in PA was when I had purchased my first sea kayak (Think Fit) as I was progressing from a tandem, pedal-driven, plastic Hobie Oasis to a real fiberglass boat suitable for racing. I had a near-drowning experience as I was testing out that boat which only served to reinforce that I had what it took to face the worst of perils when paddling in open water. Dozens of paddling experiences followed over the next few years including upgrading to an introductory surf ski myself: the Stellar SR. That is the kayak in the photo of the article referenced above. Flash forward FOUR YEARS and we now are grateful to have a travel trailer aka as a “mold avoidance clean room” that affords me the opportunity to travel with Steve and stay overnight. 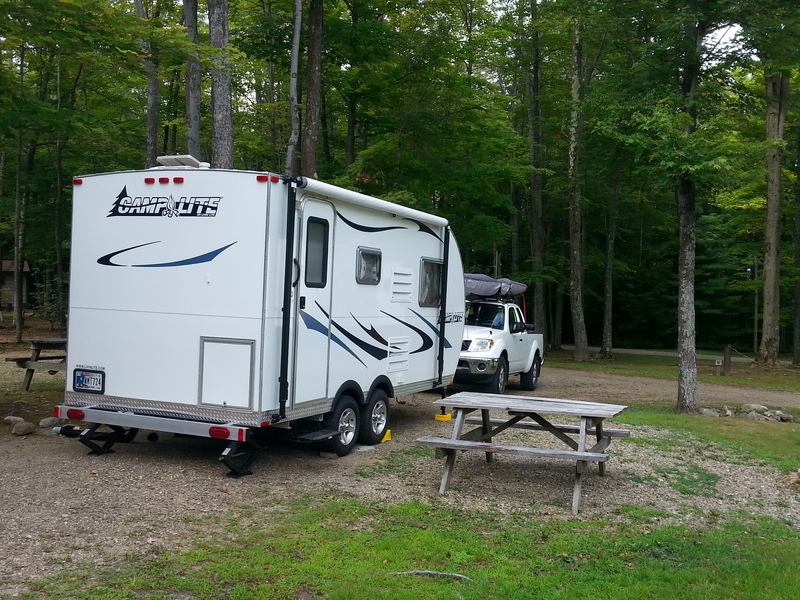 The plan for this trip was to stay at a local KOA Kampground while shuttling to and from the stages of the two racing events in which Steve was registered to compete. Miraculously and despite convulsive episodes each day and night, I was able to join him at the side of the Allegheny River on Friday for a full day of events. We were bushed by nightfall: Steve having paddled 15+ miles at breakneck speed and me having participated in over 12 hours of outdoor activities for the first time in a very long time. It was a win-win for both of us! Then came Saturday morning. The night was a rough one for me but not as bad as they could be for sure. Steve overslept 45 minutes and scurried about to get himself, his special nourishments, breakfast, and doggie duties covered before leaving for a second day of racing. Adrenaline was pushing him beyond the fatigue he too was battling. As for me, the morning seizure attacks died down as I pulled myself out of bed just as he was leaving! It was clear that I was NOT going anywhere and would be a kayaking widow in the woods of the campground that day. Swell. Sadly I heard my truck pull away along the dirt road with my beloved therein, headed past the Kinzua Dam and beyond to the water’s edge without me. To see my River Bear in action WAS WHY I CAME! I was crushed. There was one BIG problem with this: how the heck would I get there? I had no vehicle and the race start was a 17-minute ride away by car. I had no car. I had no truck. I had a dog and that was it! Looking back I believe it was the Lord nudging me on to keep getting ready. Alright. “Shouldn’t I eat some breakfast? I mean, I get sick sometimes when I don’t eat breakfast?” And so I bemoaned some more as I continued in motion, getting dressed and figuring I would have to leave the pup behind in the locked travel trailer with the air conditioner running all day. “Keep moving,” was the leading of my heart. “You might have to leave on a moment’s notice if this works out so you need to be ready!” Out the door I scurried, hoping that most of me was covered with clothing and foot-coverings suitable for a campground! The office didn’t open until 9:00 a.m. It was around 8:15 a.m. I had seen what I deduced was the owners shaking out their rugs out the front door of the adjacent mobile home so I could maybe knock on their door . . . No that would not be nice. But look! There’s the car leaving their campsite that left yesterday morning around this time. Maybe they are long-termers who are leaving for work or something and can take me? So I stood near the middle of the dirt road in between the office and campsite Number 2, waiting for the car to drive by. Surely the driver would see me and stop? Nope. She never even looked up from her steering wheel as she drove straight by me. Sish! Surely I could not have looked that threatening, no? What to do now? “Stay put,” was the leading in my heart. Maybe I could go back to our CampLite and wait for the office to open? Someone would drive me to the Visitor Center and I would get our truck and just catch up with Steve somewhere along the race course. He would be shocked to hear, “Goooooo Steeeeeve” from the side of the river like the day before. Our reunion at the finish line would be sweet. Well, no. Then I saw around the corner of the dirt road in front of some other campsites a car with its lights on! In front of it was a large motor home that I soon discovered was travelling with the small SUV behind it that had its lights on. They were leaving too! The driver of the motorhome stopped when I motioned from practically the middle of the dirt road as he approached. My heart was beating fast and my voice trembled as I poured out a quick version of my dilemma then waited for his response. The man got out and talked with his wife who was driving the vehicle behind him as I stood shaking like a schoolgirl waiting for permission to go to the bathroom from the headmaster who had seen enough already. The man got back into the motorhome. “I’ll take you,” was all he said through the window he opened. Oh wow! He said yes! She said yes! I REALLY AM GOING TO THE RACES!!! So I quickly gathered my things; said goodbye to the big brown puppy-dog eyes that were ready for another day of fabulous sniffs, hugs from cute little girls, and wide open spaces; locked the door and did not look back. I hopped into the passenger side of a stranger’s large motor home and hitched a ride to my second day at the 2015 USCA Nationals. I was going to be with my River Bear! The gentleman was in town with his wife to visit their daughter at a local Mennonite college. They owned a large dairy farm in southeastern Pennsylvania and had just opened a restaurant with a storefront too: September Farm. They were headed to Bradford for the day which is over 12 miles in the other direction from where I was headed. His low-fuel light had just turned on and he did not know where to find a local gas station. Later I realized that it is possible that he might not have made it all the way to Bradford if he had not backtracked to Warren (5 minutes of travel beyond where he had dropped me off) without running out of gas. Dave talked about him and his wife, Roberta, meeting a sweet couple through Farm and Ranch magazine that were like angels to them. I said to Dave that he was my angel that day. Yes, I do believe in angels! Steve was shocked to say the least, when I came up behind him with a gentle, “Goooooo Steeeeeve!” to let him know that I had made it and in time for the starting gun. He was still getting ready after the 8:30 a.m. race meeting, leaning over his Stellar SEL when I kinda snuck up behind him. I had made it in time to see him launch in what would become a great day of racing. We embraced with tears. Steve said he felt a magnificent boost carry him down the river, through the Plume Rapids, and passing paddlers with greater ease than he had ever noticed before. 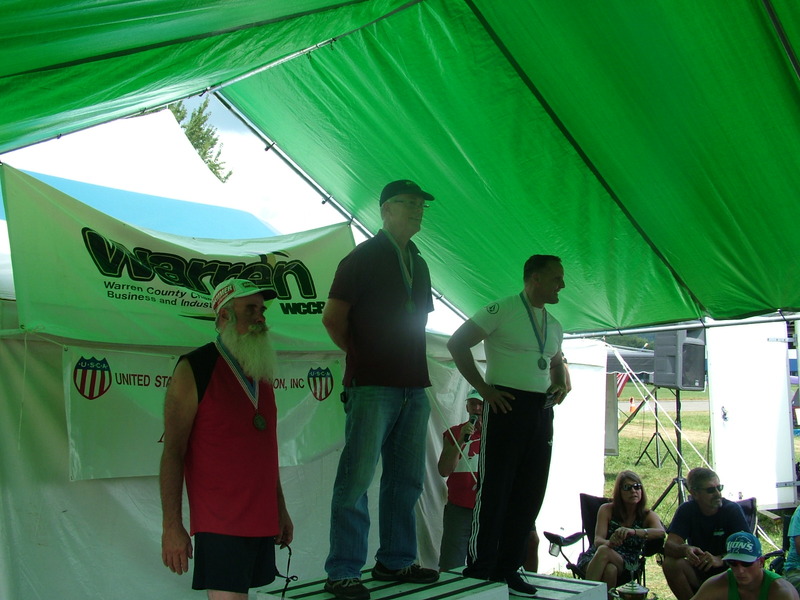 Later Steve was awarded a first-place medal in K-1 Unlimited for his age group and finished in the first group of a large field of athletes. We laughed the rest of the weekend about me hitchhiking just to see him. Steve said he had never felt so loved! I laughed then shuddered to think of the dangers that I had not experienced in the fearlessness I experienced when following the leading of the Holy Spirit in my heart that day. I am grateful for so much these days! I made it to the races despite the odds against me and learned some new things on Saturday: Dairy farmers can be angels. Love transcends the greatest of heartaches then brings us back to what or who matters most. Follow the leading of the Holy Spirit! And life is a daring adventure or nothing at all. Obedience is one of those words like “discipline.” Not popular either one of them, yet both separate the whining cry babies from the mature adults amongst us. For believers in Jesus Christ, obedience matures our faith and transforms us into the image of Christ (a work never completed during our lifetimes). 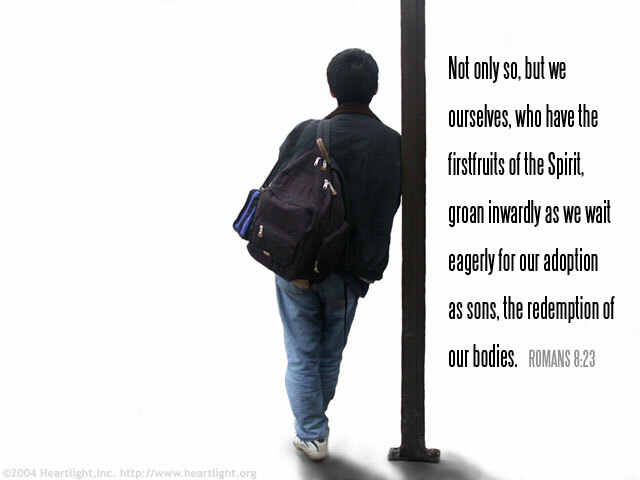 In our humanity our flesh tugs at us to rebel or be tempted in directions other than the leading of the Holy Spirit. But by focusing on His incredible gift of grace, studying His holy Word, and submitting to the leading of the Holy Spirit we will end in a better place for sure. I have seen it in my own life and in the lives of others. His will is best. His timing is best. Why? Because He loves us and because He is God! These thoughts came to me after reading an interview of Ravi Zacharias in the RZIM Summer 2015 newsletter and listening to a message by Pastor Paul Mowery of Harvest Fellowship in Leo, Indiana. At the close of his message on Romans 11, Pastor Paul encourages us to “be about worship,” praising His great name for having mercy on us as recipients of the Lord’s grace. We are not to dwell on what each of us may have done that draws attention to ourselves. We are to be about Him: worshipping our Father God. Lately I am struggling with these themes. Many of my posts here have tried to pull something meaningful out of the challenges of a wretched illness. As the days wear on with the setbacks of late, I have found myself literally screaming out my anger at God with the wails that accompany the convulsive seizures. “Why do you hate me?” Oh yeah, it’s bad. Even my beloved Steve who has been at my side during a fair amount of this hell admits his anger at God. And we are convinced that this is an o.k. thing to do. It is not an o.k. place to stay, however. And it is certainly not an acceptable attitude to act upon. You simply cannot be angry at someone whom you do not love dearly. Such is our dilemma. We both love the Lord, Jesus Christ, and are humbled, grateful for His mercies in each of our lives. We have so much goodness between us! We are grateful for so much! And in our humanity we are broken and don’t like the brokenness. Way down deep we are hurting and it is this hurt that fuels the anger. Admitting this will be the way out, the way back to fellowship, the discipline that will bring obedience, the song of worship yet to come . . .
Today with the faith of a mustard seed (that I understand is rich in nutrients of which I am needing anyways!) I will choose to honor and worship the Lord, my King. He has built this frame in which I dwell and within it dwells the Holy Spirit. Broken or not, it is the vessel from which I will praise His name all of my days. I lay my angst on His mighty throne of grace, with great expectation of His promise to redeem it for His glory. Once upon a time in a land of giants, lived a woman searching for a dream. The tall buildings and tall tales of love had left her scorned . . . what now to believe in? “Who can I trust with the tender desires of my heart? she pondered. And what would she do to make some sense of this story of hers that has not turned out like anyone had planned really? Once upon a time in a land of lakes and rivers, backyards that you can really afford, and the modest building of boxes, lived a noble man. He too had been scorned but by a shrewy one, shrinking his honorable stature in society and beyond. And what will he do to calm the distant tempests of this life, to live in peace no matter what may come? As fate would have it, the two dreamers met over the wires one cold Wintry day. He warmed her with his intellect and she him with her remaining spark. The love between them grew with passion, with promise of a happy ending together one day maybe soon. So they married. And life was good in the land not far away. She learned to love the countryside, the bearded natives, the giant heart of her Sterjoy. For in his arms she found love like no other. “Jesus with skin on,” she would say. Her night in shining aluminum for sure was now here. He learned to love the green of the earth, the richness of organic life, the sweet spirit of his Jaboo. For in her keeping he found respect as the man, the leader within that would emerge over time. His delight he spoke of often; her delight to receive. They found things in common: to write, the open water, a furry Pupster too. Road trips were a perfect match for his love to drive through the night with her lunchbox that was filled with all of their favorite things in tow. Their families said, “at last!” and even the kids eventually came around as well. Theirs was something unique crafted just for these years as all could see. Their heartache had melted into a life that was lovely to the praise of the Lord who brought them together indeed. Their biggest moment came four years later; no one saw it coming that fateful night. ‘Twas a mystery at first as to why she was so sick and then why it would last so long. They struggled and prayed, they searched and laid hands, they cried and they celebrated when hope would come for a little while at a rest stop in their lengthening journey. Then things got uglier and she seized relentlessly day after night! She reached for her Sterjoy with angst and often no words would come but the love between them would endure nonetheless. He continued to slay dragons then try to minister to his wife late into the darkness without fail. The toll was palpable yet they lived on, trying and hoping only to have their hearts thrown against the wall time and time again. Herein was THEIR TEST. Some tests take 2 hours, some longer, up to the duration of your life. How will you respond when the buttons in the fabric of your character are pushed into your soul? Most of us won’t know until it happens to us. And if we make it to the other side who will care when it’s even worse at the next one waiting beyond: oh no, it’s here again, the next trial? When all you know matters not with the tears that collect on your worn sneakers that you are sure can take you no further, no further, I said no further, you are done! They pondered and prayed some more. They searched the Scriptures of Life. Fellows held them up then held them out for a blessing, for respite, and neither seemed to come as the sunrise cast into its fall. Then they realized that there were wounds in their hearts that their love had blinded them to . . . placing them on the chopping block or maybe for ransom and neither was able to make it different: oh my, just how? They had done all they knew to do, that which prayer and inspiration had taught. But it was their woundedness that needed to go first you see. It had to leave whether she would realize her last breath or not. To go on would require this. How to keep the music playing in their hearts for each other was the real test right now! So being the faithful man of God, Sterjoy separated the shrewy from his Jaboo. He placed both on the throne of grace and turned his face to Jesus Christ for Thy will to be done. He waited again. He trusted in the Lord over all then waited and waited once again. She being the receiver of the Spirit’s voice, obeyed in a way like never before. She trusted even in the time when crisis came around again: like a weak muscle that got worked but had only brought forth a crawl thus far. And as she would trust and trust some more until her mind won over her heart, until both of them became strong. Their story has yet to end while one thing they now know for sure. The trials of this life are never wasted when the Lord carries you through in his chariot of grace, of love, and His promise for so much more. Those two lovers hold out for the hope of heaven and know there they both will find rest. Their love will be perfected by the Giver whose thoughts exceed the sands of the beaches where their lives have taken hold. This day she has learned to believe her beloved and he, the heart of his dear one. Gentle Reader, this story is a perfect image of the Groom as He envelopes His bride of Christ, His holy church. How fitting a tale. How fitting a test for us all. Sterjoy and Jaboo will live happily ever after one day without tears for trusting in the One due our complete respect: our Lord in shining honor! He is here for these precious ones in their time of need. He is there for you my dear friend too.